While it would seem to be doing a disservice to The Sublime to continually compare it to Cosmosophy, the stated intention of Yeruselem was to essentially consolidate that sort of sonic palate explored on Cosmosophy into a new project. Blut Aus Nord has always been a multifaceted beast; from the Burzum-ish beginnings, to the sweeping, grandiose atmospheric black metal of the Memoria Vetusta series, to the trip hop leanings of the Thematic EP, and finally the industrial nightmare unleashed by the bulk of their catalog, the 777 trilogy still managed to find itself as an outlier. The Sublime continues the Godflesh and post punk influenced sound of that trilogy, but it shies away from the outright metal found in the beginning of the trilogy, and replaces it with almost danceable beats, more present and only clean sung vocals, and less distortion on the guitar. Those looking for a heavy record will not be disappointed however, as the industrial pulsing and grinding machinery like sounds that fill The Sublime add significant weight to the songs. Frankly, disappointment was the last thing on my mind while listening to it. The album’s first and titular track starts with clean, chanted vocals, and a guitar driven melody very reminiscent of the one that closes the 777 series. 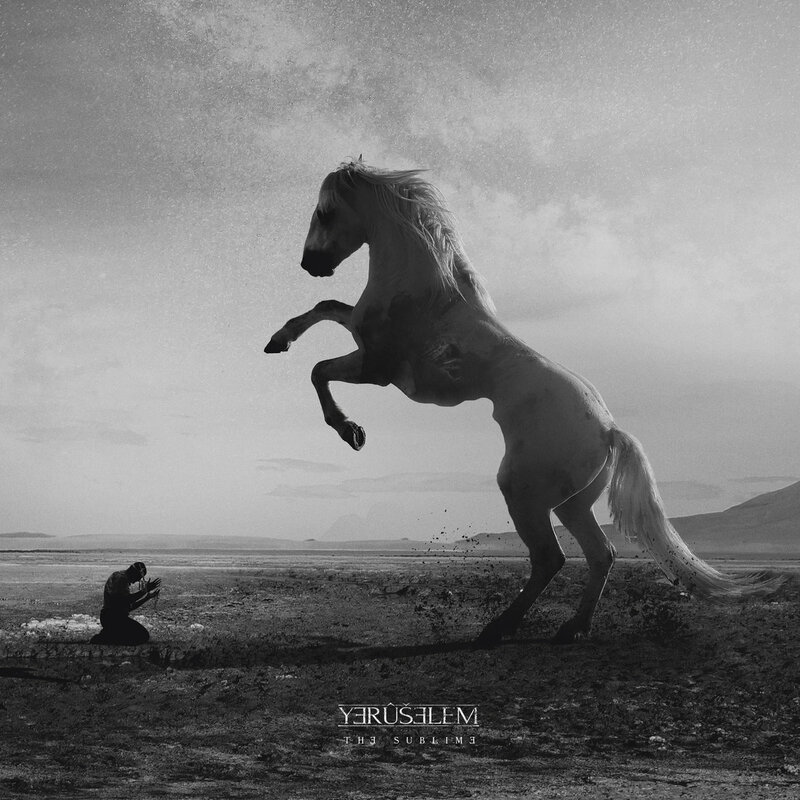 It is immediately apparent that while this is a separate project from Blut Aus Nord, the defining characteristics of Vindsval’s melodic phrasing will run through Yeruselem as well. This is hardly a bad thing, as his note choice sounds like no one else, and in the two decades of Blut Aus Nord’s existing, no copycat has ever come close. The album varies in tempo, but as a general rule, it plods along, creating a trance like experience. The drums, clearly mechanical, serve more to create a skeleton on which the music is built than to stand out. All in all, The Sublime is brilliant. If you enjoyed the industrial leanings of Blut Aus Nord, and wanted to hear them expand more on the cleaner, more melodic side of that, you will be quite pleased with this album. I absolutely love that aspect of Blut Aus Nord, and frankly, can’t find a single fault with this record. It’s amazing to me that after so many releases, Vindsval and Co. are able to keep their quality so high. I recommend this album to fans of metal and non metal alike; there’s a lot to grab onto here, and each successive listen of the record has revealed itself further.